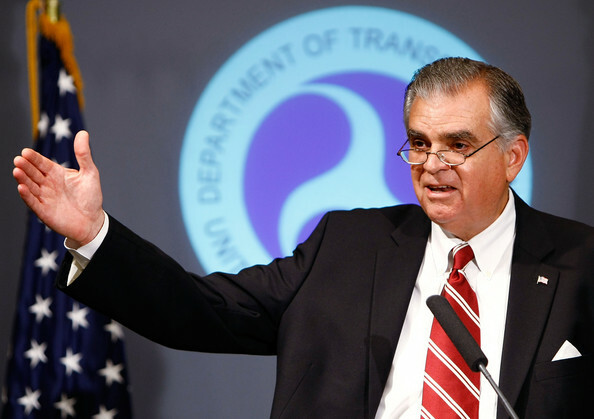 Transportation Secretary Ray LaHood has said the 12 November forum on the future of the aviation industry only “scratched the surface of the changes we need to address.” Accordingly, he will be forming an “advisory committee” to examine trends and report directly to him. “This is not going to be just another advisory committee, and I am not commissioning some report to fill space on my bookshelf,” LaHood vowed. “This committee will make a difference.” The effort is to be called the Federal Advisory Committee on the Future of Aviation. Membership has not been announced, other than that “stakeholders” will participate in what is anticipated to be a 12-month process. LaHood affirmed that “safety must remain our absolute top priority going forward.” With this promise, one would expect that the long term impact of the committee’s deliberation will significantly affect industry safety levels. LaHood also said re-regulating the industry is off the table. “I have not heard one word in this Administration about re-regulating the industry” in terms of airlines, routes and ticket prices, he said. Make the current Airline Transportation Stabilization Board (ATSB) a permanent public-private body with broad investment, risk management and credit enhancement responsibilities. The board’s charter must be extended down the supply chain and manufacturing. In addition, the private sector must organize a counterpart to the ATSB. With anti-trust immunity, it would initially focus on capacity coordination and management, pool purchasing in the supply chain, and integrate labor. The two ATSBs from each sector will, in a second stage, merge with joint representation. Arrange all U.S. Government air transport agencies (the DOT, FAA, TSA and airport authorities) and their budgets and revenue models under the one ATSB. While airport authorities feel they can charge whatever they want as “toll booth operators” for slots, gates and ramp access, this strategy only diverts capital from the airline. The creation of an “Airline World Bank” patterned along WorldTel in London would lead to a sector-specific development bank. There are four components of a balanced regulatory regime: (1) antitrust, (2) tax, labor and investment law, (3) competitive fitness and (4) international treaty, all of which are inter-related. Note that Andersson’s definition of “re-regulate” does not envision what was done before, which was to bar new entrants and set ticket prices. His use of the term has a broader implication. First, provisions of anti-trust law need to be repealed that prevent capacity coordination, and enforce anti-trust law that addresses wasteful and destabilizing competition (dumping inventory on the market below costs). Second, re-instate a long-term investment tax credit that makes aircraft financing less complex and costly. Foreign leveraged tax leases benefit everyone except the airlines and are enormously complicated and transactionally expensive. Abolish the Railroad Labor Act, with its ordained provisions that are still applied to the airline industry. Set fair wage guidelines and wage-price controls including executive compensation, coordinated by the ATSB. Third, require any new carrier to pass a much higher test of strategic and financial fitness, demonstrated to the ATSB, before being allowed in the marketplace. Fourth, ratify an “open skies” agreement with the European Union to allow for tran-Atlantic supply coordination. He has a point, especially if the industry is going to shrink in coming years. Better to downsize rationally than with another wave of unplanned bankruptcies or mergers. Fuel prices are going to continue to escalate, and mass jet travel as we know it was based on dollar-a-gallon jet fuel. Those days are over, as we see from the latest Bureau of Transportation Statistics, whose November press release reveals that the number of scheduled domestic and international passengers on U.S. airlines in August 2009 declined 4.1 percent from August 2008. More direly, August marked the 17th consecutive month with a decrease in passengers from the prior year. The airline industry is no longer a high-growth mode of transportation for the masses. It is time to assess what airline industry can be supported in the U.S., and how that industry – of whatever size – can be operated safely. The Business Travel Coalition is circulating a letter, seeking signatures, that will be submitted to Secretary LaHood outlining an approach out of the present crisis to a viable future. Note that the letter refers to a regional airline crash and outsourced maintenance as two symptoms of the current cost-cutting that has shaved safety margins (see below). The four-step proposal by Andersson provides a vehicle for implementing the “public-policy objectives” called for in the coalition letter. The coalition may not envision a smaller airline industry, but that is the reality – driven by $4-$5 dollar a gallon jet fuel and coming competition from high speed electrified trains. You asked for suggestions regarding the top five problems facing the industry. The über problem from which virtually every other industry difficulty subsequently flows is that the U.S. has never had a coherent national air transportation policy that has been updated over time. What’s more, one cannot select the right problems to address, or adequately evaluate solutions, unless policy objectives are set forth in a clear manner. When initiatives such as the 1993 Baliles Commission fail to produce desired changes, some voice frustration, but fail to ask why. Recommendations are transmitted to Congress, where a policy-framework to evaluate and support adoption of proposals is nonexistent. What’s more, vested interests, including some represented on these commissions, work to ensure that nothing comes of recommendations. As noted during the forum last week, 16 years after the Baliles Commission most problems facing the airline industry remain. We now run the risk of a more damaging repeat of this outcome though. If in 16 years, in 2025, the destination for aviation is essentially 1993 with the same unsolved problems that Governor Baliles wrestled with, then we will have a disaster on our hands. We deregulated 31 years ago but never had a debate regarding public policy objectives and desired outcomes. Instead of a coherent air transportation policy we have a patchwork of legislative and regulatory prescriptions that are a consequence of lurching from crisis to crisis. We need to develop public-policy objectives and a framework for effective analysis and oversight such that it does not take a tragedy outside Buffalo [the fatal February 2009 crash of the Colgan Air Dash 8-Q400] to recognize a flawed regional airline business model. Or, to identify that there is significant safety and security risk when U.S. aircraft are sent to third-world countries to be overhauled by workers whose backgrounds cannot be verified, who are not tested for drugs and alcohol, who rely on pictures in manufacturers’ manuals to perform repairs because they cannot read detailed English instructions and whose oversight by FAA and TSA [Transportation Security Administration] is uneven, or non-existent. We urge you Secretary LaHood to allocated the first two months of the committee’s efforts to debating and building consensus around transportation and air transportation public-policy objectives. Importantly, we recommend that the process by transparent and open to the press, as the Baliles Commission was. Let’s take advantage of the crisis gripping the airline industry to forge a future that truly strengthens U.S. travel and tourism as well as our economy, workforce, way of life and position in international aviation.